Last week, I had the pleasure of meeting representatives from three Lloyd’s syndicates for the first time. It was an exciting time for me and my product (InsitePro™), because Lloyd’s is always a milestone for any new product serving insurance. The real beauty of the meetings, though, was that they were not in the City of London, but rather, in a small American prairie city. The Lloyd’s market is an icon of insurance, with its vast history, its innovative approach to risk management, and its global reach. To many people, Lloyd’s of London IS insurance. I always thought, though, that my first meetings with a Lloyd’s syndicate would be in London at their famous headquarters. Nope. But meeting these people outside the hyper-financial district of London’s Square Mile was illustrative of a fundamental aspect of Lloyd’s – even though they are based in London, they do their work in places exactly like where I met them. With their global network of coverholders and the networks built by the Lloyd’s brokers, the real business happens on Main Street USA, Main Street Canada, Main Street Australia, Main Street everywhere. 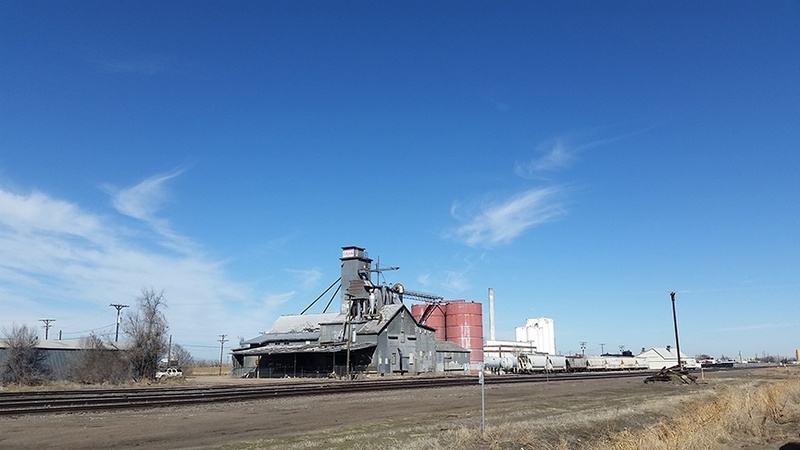 Their reach and importance in most economies around the world was perfectly symbolized by the railway and grain infrastructure down the street from our meeting venues. No less significant was the concentration of store-front insurance agents in the neighborhood; on every corner was an insurance office, supporting and strengthening the city and community. So, while I still need to get to the Lloyd’s building to fully satisfy an ambition, my first meetings with Lloyd’s people better showed me what Lloyd’s of London, and the entire insurance industry, really means to our society.